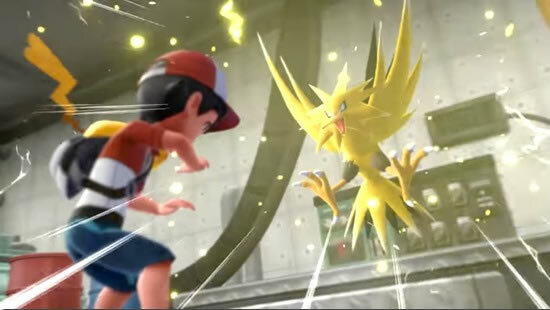 The ultimate sign of a master trainer is taming Legendary Pokemon, and that’s no different in Pokemon Let’s Go Pikachu and Eevee, where you’ll be aiming to take down and catch Articuno, Zapdos, Moltres and the deadly Mewtwo. The world of Pokemon has expanded its ranks significantly in the time since Pokemon Yellow first launched, and that includes a slew of new Legendary Pokemon. Thankfully, Pokemon Let’s Go is a more simple adventure calling back to those earliest days of the series, so we’re back to the original five legendary Pokemon in this game – the four mentioned above plus Mew. Each one of these creatures is captured and found in different circumstances out in the game world of Pokemon Let’s Go – and you won’t necessarily come across all of them naturally in your journey to topple all the gyms and become a master trainer. On this page we’re going to detail exactly where to find and how to capture all five legendary Pokemon. Handy. It’s worth noting that legendary Pokemon encounters play out differently to normal encounters. This is true of some other ‘event’ Pokemon in the game too, like a sleeping Snorlax, but the deal is this: first you have to battle the Pokemon, and once it’s been defeated you’ll be able to attempt to catch it like any other catching encounter. We’ll suggest some Pokemon types to take along to the battle to ensure you beat it, but the catching part is just down to perseverance and having the right equipment – so be sure to stock up on Ultra Balls and Berries! Zapdos is the legendary bird for the electric-type, and thus it finds its home in a most appropriate location: the power plant. To get to the power plant you’ll need the Sea Skim (Surf) secret technique, and once you’ve got it you’ll need to head to Route 10. Getting out onto the water there near the entrance to the Rock Tunnel will lead you to the entrance to the power plant. The power plant is quite a bit easier in this version of the Kanto story thanks to the lack of random encounters – you simply need to work your way through its winding design in the same way you would Mt. Moon, Team Rocket’s Lair or any other ‘dungeon’ style area in the game. It’s of course home to a wide range of electric Pokemon beyond Zapdos, so bring plenty of catching equipment with you. Zapdos is a mix of flying-type and electric-type. When all is said and done that makes it weak to Rock-type attacks and Pokemon and Ice-type attacks and Pokemon. Generally, Rock-type is the one you’re going to have the easiest access to. Consider taking along a Graveler or Golem (evolved from Geodude) or an Onix with high stats. While Zapdos is powerful in the battle, a good rock-type will nullify its electrical moves and dull its flying-type attacks. The Zapdos will be level 50 when you finally catch it. As an important note, Pokemon Let’s Go does one thing quite differently to other games – once you’ve caught one of a legendary bird, there’s a rare chance you might encounter another out in the wild as a rare Pokemon spawn. For a chance of seeing a rare spawn, follow the instructions on our rare spawn guide – and keep in mind the chances are very low. Once caught in the Power Plant, Zapdos might rare spawn on Routes 1-4, 6-8, 10-19 and 21-25. You’ll need to be flying on a Pokemon of your own for a chance of catching up with it. 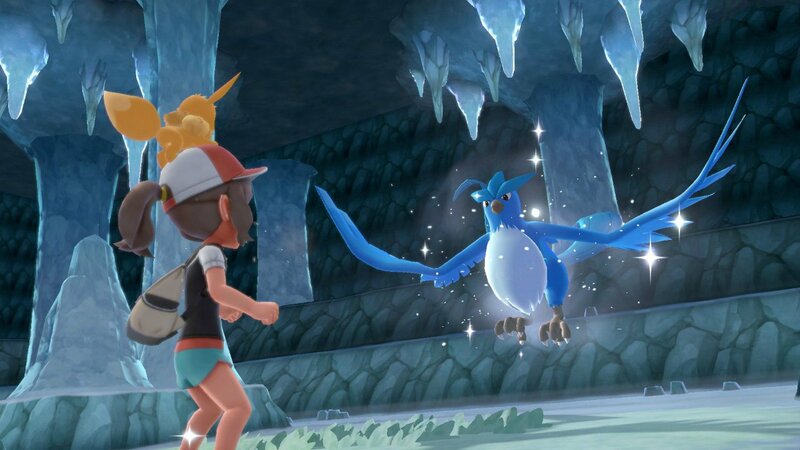 Articuno likewise has a fitting location for its ice-type legendary Pokemon origins – it’s found out in the seas, specifically on the Seafoam Islands to the east of Cinnabar Island, one of the major cities in the game. The Seafoam Islands are easy enough to reach, but once you get there you’ll find your path forward obscured by some basic puzzles. You’ll need the Strong Push (Strength) secret technique to solve these puzzles – essentially you have to push some big stone blocks into holes in order to clog up the river and slow its flow so you can get to new areas – and it’s in these areas where you’ll find Articuno. It’s all quite simple, really, and you’ll find some decent Pokemon along the way like Jynx, Slowpoke, Slowbro, Seel and Dewgong – plus a chance to catch a Squirtle if you’re lucky. When the time comes to fight Articuno, keep in mind its mixed ice-type and flying-type status. That makes it weak to Electric, Rock, Fire and Steel attacks. Don’t be tempted to deploy Zapdos here if you already picked it up – it’s weak to Ice, remember. Your best bet are water-type Pokemon, since that’ll resist Articuno’s devastating ice attacks. When you catch Articuno, it’ll be at level 50. As with Zapdos, you’ll be able to find a second legendary Articuno in the wild once you’ve caught the first – and if you’re really lucky, even more than two! Once again, it manifests in the wild as a rare Pokemon spawn with some painfully low spawning rates. After you’ve raided Seafoam Islands, Articuno can be a rare spawn on Routes 1-4, 6-8, 10-19 and 21-25. You’ll need to be flying on a Pokemon of your own for a chance of catching up with it. Moltres is the only Pokemon in the world of Kanto in a place that you absolutely must visit in your pursuit of the main story. The fire-type legendary bird can be found in Victory Road to the west of Viridian City, the cave-like system that provides the ultimate final challenge to Pokemon Trainers before they tackle the Elite 4. This place is crawling with little puzzles that use many of your secret techniques, but you’ll only need the one to reach Moltres. Find the area where Officer Jenny is hanging out – you met her earlier on in the story and probably picked up a naughty Squirtle from her. She’s also the only cop you’ve seen – Kanto is rough. Anyway, she heals you up here, but to the right of where she’s hanging out is a Strong Push block. Move it and head down the ladder – on this floor you’ll find Moltres. Moltres is a fire and flying type mix, which makes it weak to Rock, Water and Electric-type attacks. For this encounter you could use Zapdos – but not Articuno – but if you want to batlte with non-legendary Pokemon another water type Pokemon is a solid bet, as are rock-type Pokemon, who’ll resist fire damage and dish out double damage to Moltres. Once you catch Moltres, it’ll be at level 50. 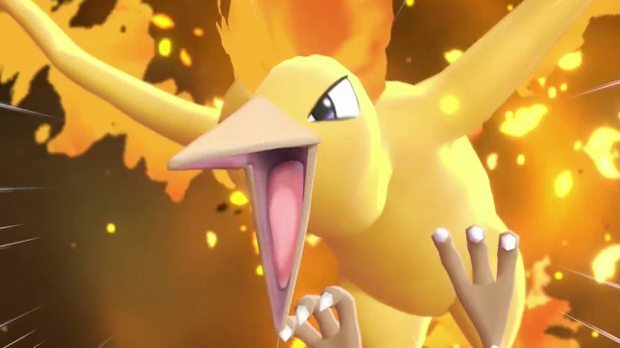 You can actually catch another Moltres in the wild – and more beyond that – if you’re patient and dedicated to your legendary-farming craft. As with the previous legendary birds, these extra appearances in the wild take place as a rare Pokemon spawn with some painfully low spawning rates. After you’ve grabbed Moltres from Victory Road, it can be a rare spawn on Routes 1-4, 6-8, 10-19 and 21-25. You’ll need to be flying on a Pokemon of your own for a chance of catching up with it. 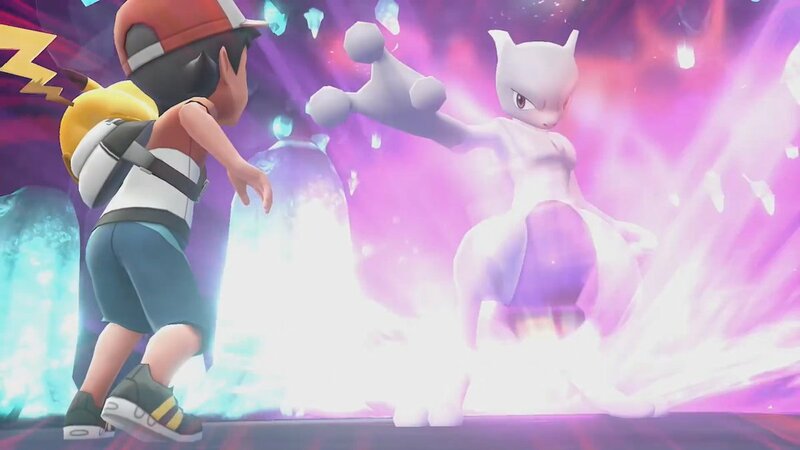 Mewtwo is actually the only one of the legendary Pokemon in Pokemon Let’s Go that the main story sort of points you to – in that once you beat the Elite 4, you’ll be prodded in the general direction of this genetically-engineered creature as your first step on the road of Let’s Go’s post-game content. As such, you can’t reach Mewtwo’s dwellings until you’ve defeated the Pokemon League. When you have, you’ll find the Cerulean Cave, Mewtwo’s home, near the water in the west of Cerulean City. It’s a simpler affair this time around – the Cerulean Cave is light on puzzles but heavy on encounters with high-end, often quite rare Pokemon – several floors of encounters with Pokemon as boring as Geodude and as exciting as Snorlax, Chansey, Lickitung, Poliwrath and Rhydon. On the B1F floor of the Cerulean Cave, you’ll encounter Mewtwo, just hanging out, waiting for you. Mewtwo is a Psychic-type Pokemon, and it’s a powerful one. You can go for Bug, Ghost or Dark-type Pokemon and moves to beat it out. Your best bet might well be a ghost-type like Gengar with a Dark-type move like Sucker Punch or Dark Pulse (TM97). Another great option is to grab an Alola form Grimer or Muk, since Dark-type Pokemon are particularly effective against Psychic creatures but are rare in Kanto. Regardless, this fight is going to be a slugfest – and you should be aware of that. When Mewtwo finally succumbs, you’ll have a chance to catch it at level 70. There’s no secondary spawn for Mewtwo, but it is worth keeping in mind that the Pokemon that it’s cloned from, Mew, is available to players in a far easier way. Mew is included with every purchase of the Poke Ball Plus as a sort of bonus for players who go all-in on their Pokemon Let’s Go Experience. Mew arrives at a low level and isn’t massively powerful, but as a pure psychic type it’s a type you don’t encounter often until later on in the game, so it’s a very useful bonus indeed.